Kuningan Day is celebrated every 210 days, ten days after Galungan Day and it marks the end of Galungan festival. The Balinese believe that Kuningan day is the day when their ancestors return to heaven after visiting the earth during Galungan. They will make offerings from yellowed rice to be given to the ancestors on their farewell day. The offering will placed in a small "bowl" made of coconut leaves. The yellow rice is the symbol of human's gratitude towards God for all the life, joy, wealth, health and prosperity. The bowls that decorated with a small figure of shadow puppets represents angels that bring joy and wealth to earth. It is also said, the celebration should be done before noon, before gods and goddess return to the heavens to continue their asceticism. Siwarâtri or Nigh of Shiva means a night of holy devotions or a night of smelting sin. During this day, Balinese Hindu will going to the temple for praying. They will also doing three kinds of brata which famous as "Brata Siwaratri". Mekotek is a tradition from Munggu Village which is held every 6 months, 10 days after Galungan, at the feast of Kuningan day. The aim of this ritual is to asking for salvation. Mekotek is an ancestral heritage that was carried out from generation to generation. This tradition is deployed with a wooden pulette stick that has been peeled and the length is about 2 - 3,5 meters. Before the ritual begins, the participants will perform prayers and thanks for the plantation results. After that, all the participants will be divided into groups of 50 people each and they will march to the water source in Munggu Village with the stick. Along the way, the wooden sticks that are carried will be pitted over the air forming a pyramid. The participants who have the guts will rise to the top of the group of wooden sticks and will give command to the group. The command given by the person at the top of the stick is crashing into a group of sticks belonging to another group. Mekotek ritual is also accompanied by 'gamelan' to encourage the participants. Apart from the majority of Balinese Hindus, the Chinese New Year celebration in Bali is also celebrated royally. The Chinese New Year traditions in Bali even already melded with the Balinese culture. Many Balinese elements like penjor or canang which commonly used as a means to worship the gods for Hindus is also used by Chinese people in Bali. For them who are hereditary living in Bali, Balinese culture seems have attached to them. Tumpek Krulut is a series of Tumpek Day which is celebrated every 6 months. On this day, the Balinese Hindu will hold a ceremony to worship the God in its manifestation as the Lord of Iswara for the creation of sacred voices in the form of percussion or 'gamelan'. The aim is that the gamelan has a beautiful sound or 'taksu', and can give a sense of beauty, balance, and harmony for anyone who heard it. If you’re spending Valentine's Day in Bali this year, you are lucky! There are plenty of beautiful dining spots on the island. Whether you want to treat that special someone with a dinner by the sea with sunset view or maybe with an exquisite spa session, Bali has it all. Of course, also singles have been taken into account when planning Valentine’s Day activities on the island. 2019 kicked off with the amazing news to start a NO to the plastic bag by the Bali's Governor. This will have a big impact on the plastic pollution in the near future. For now the work is not done yet. It is rainy season again and the Bali is covered with waste, every where. Time for third annual Bali’ Biggest Clean up. This year, Bali's Biggest Clean up will clean up additional trash hotspots around the island, from our beaches to the mountains, through our rivers and jungles. We calling on all Bupatis & local government authority’s, schools, NGOs, local businesses, and hotels to organize or join clean-ups in their area. If you interest to get involved in this event, you can sign up on here. In addition, some of places can be reached by Kura Kura Bus. So, save the date and join a clean up near you. Melasti is one of Hindu’ religious ritual which will be done 2 to 4 days before Nyepi. Balinese Hindu will be praying in the water resources such as rivers, beaches or lake which is symbolized as holy water (Tirta Amerta). The purpose of the ritual is to cast away the negative energy In the nature and themselves, and also to purify all the religious tools or pratima. If you are in Bali 2 or 4 days before Nyepi, you will find the mass wearing the traditional custom and also bringing special umbrella which is called as 'Tedung' and they will heading to rivers, lakes or beaches. Pengrupukan is a ceremony that aims to drive away Bhuta Kala or negative energy from the home, courtyyard and surroundings. This ritual is performed the day before Nyepi. On the Pengrupukan, there will be 'ogoh-ogoh' parade which will be carried around the neighborhood. Balinese believe ogoh-ogoh is symbol of Butha Kala, so when they finished the convey, the ogoh-ogoh will be burned. Several shops, restaurants and streets will also be closed when the parade takes place. Nyepi or Silent Day is a Hindu New Year celebration based on Saka calendar. Unlike the other New Year, this new year is done with solitude for 24 hours from 06.00 am today until 06.00 am the next day. On this day everything will shut down, except for the hospital. You will not find any activity on the road, shops, restaurants, and also the airport. Balinese Hindus also will perform Catur Brata Penyepian to introspect theirself. The day after Nyepi is Ngembak Geni. One of the most unique traditions, Omed-Omedan or The Kissing Ritual, is a festival you won't miss in this day. Located in Sesetan, Denpasar, this tradition involves 2 groups of young people who will go down the streets. The two groups will face each other on the village main road and with a signal from the elders, the two groups will come closer together and the leading participants from each group will hug each other and kiss. Each group will pull the two of them away while the villagers will also pour water on them. The Bali Spirit Festival embodies the core mantra of Balinese Hinduism - Tri Hita Karana - to live in harmony with our spiritual, social, and natural environments. Through the traditions of yoga, dance, healing and world music, the Bali Spirit Festival attracts over 5000 people from all over the world every year. The 7-day, 8-night Festival offers you a wide range of events to choose from between 8am – 11pm each day over 1 week, in 2019 from March 24 - 31, such as interactive workshops & seminars, a lively community market & healing center, a children’s activity zone, yoga classes and vibrant night time programs of live Bhakti music concerts, ecstatic dance and DJs, set among the picturesque rice-fields of Ubud, Bali. Founded in 2015, the Ubud Food Festival Presented by ABC is three days of cross-cultural culinary discovery with Indonesian food as the star. In its five years it has grown into Indonesia’s leading culinary event. Showcasing the nation’s diverse cuisines, extraordinary local produce, and culinary heroes both emerging and established, UFF celebrates the archipelago’s rich culinary heritage and the exciting future of its food industry. Balinese Hindu believes that Saraswati Day is the day that Sang Hyang Widhi blessed us with knowledge/wisdom with the purpose that mankind can conform him/herself to nature. The Saraswati Day celebrated by Balinese every 210 days and always befall on Saturday. Saraswati manifested in the form of a beautiful goddess with white dress (as a symbol of wisdom, free from sins), with 4 arms carrying musical instrument (music is the object/result of senses), holy bible (bible as the manifestation of knowledge), lotus (representing the magnificence) and sit atop a swan (swan can distinguish food in the mud, to separate good amongst evil) which considered one of the holy animal. Pagerwesi Day is celebrated every 6 months (210 days). On this day, Balinese Hindu will worship Sanghyang Pramesti Guru, one of God's manifestations believed to be the teacher of the universe and mankind. Pagerwesi comes from the word Pager which means fence or protector and Wesi which means iron. Pagerwesi can be interpreted as a strong life grip like an iron fence that keeps the knowledge that has been used in the function of sanctity, can be maintained and always be a guideline for human life so as to avoid the darkness. Tenganan Festival is an annual tradition in Tenganan Village. This festival is also known as 'Perang Pandan' or 'mekare-kare'. On this festival, male villagers will perform "1 vs 1" duel rituals using rattan shields and a handful of prickly pandan leaves in the prepared arenas located in the center of the village. This ritual is dedicated to the god of war and the sky in Hinduism, Lord Indra. In the arena, the brave men will alternately pair up to "fight" each other, and then "rub" each other's bodies with sharp spikes of pandan leaves. Surprisingly, each participant showed no pain. The wound is only treated with a herb, a mixture of turmeric and vinegar, and miraculous, those wounds will dry out in minutes. In addition to the "war", you can enjoy delicious traditional pastries that are sold in village stalls. 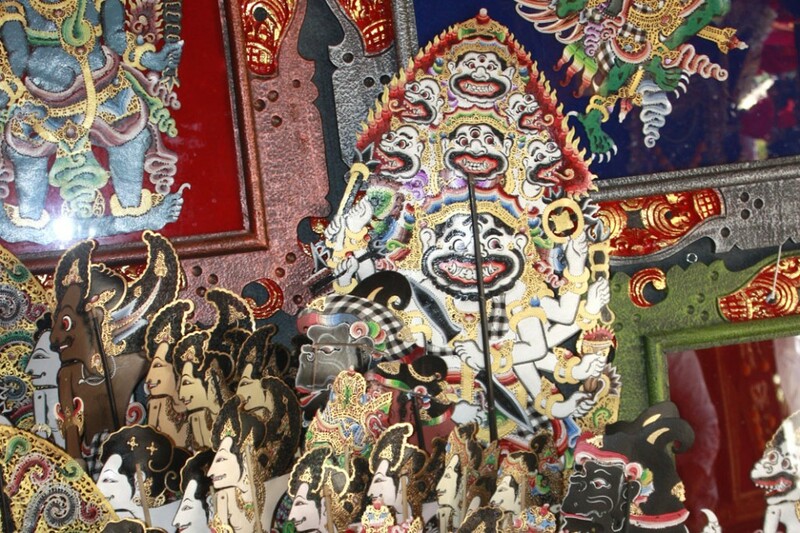 You also can do shopping handcrafts such as wood carvings, masks, or even buy traditional 'gringsing' cloth. Bali Kites Festival is an annual international kites festival which will be held at Padang Galak beach, Sanur. Hundreds of giant traditional kites (about 4 meters wide and length about 10 meters) will be flown in the competitions between teams from each 'banjar' in Bali. Each team consists of about 70-80 people and own their 'gamelan', flag bearers, and flyers. Bebean (fish-shaped kites), Janggan (bird-shaped kites with a long tail up to 100 meters), and Pecukan (leaf-shaped kites) are the three traditional kites flown during this festival. In addition to its unusual size, the traditional kite is also equipped with a vibratory sound instrument made from an 'ental' tree called 'guwang'. Guwang will produce a buzz voice that can be heard from a distance. Galungan is the second-most important Balinese celebration after Nyepi and takes place every 210 days. The festival symbolizes the victory of good (Dharma) over evil (Adharma) and encourages the Balinese to show their gratitude to the creator and their ancestors. During Galungan, Balinese Hindus usually busy making preparations for the ceremony. They will make cakes, creating 'penjor (a long curved bamboo pole which is decorated with fruit, coconut leaves, and flowers), decorating the temple, and other preparations. There will also be many ceremonies taking place so it's a wonderful time to be visiting to experience the local culture. Kuningan Day also falls on August 2019 . On this day, there will be a ceremonies like the previous Kuningan Day. Also, don't forget to watch the Mekotekan ritual if you miss it in January. Ubud Village Jazz Festival is a music festival situated in the artistic surroundings of Ubud, Bali, Indonesia. Since 2010 Yuri Mahatma, a musician, a composer and a music teacher, and a founder of Underground Jazz Movement together with Anom Darsana, the director and owner of ANTIDA Music Productions, had worked together for some routine projects of jazz concerts, each time with different theme. UVJF is an annual international jazz festival and empowered by communities. Since 2013, UVJF putting a smile on the faces of 5,000 people, irrespective of age, ability, creed or wealth. August is a special month for the Indonesian. In this month the Indonesian will celebrate their independence from the Dutch colonialists precisely on August 17th. Every year on this month will be filled with celebrations and interesting events that you can find in every corner of the island. From the first day of the month, you probably notice the red and white flags or ornaments displayed and installed everywhere. Students till government employees also begun to prepare themselves to carry out the flag ceremony when the day of independence comes. Traffic will begin to be diverted because part of the road will be closed to be used as traditional events such as 'panjat pinang', cracker eating competition, sack running, and many more! Sometimes there will also an events or invitations for social work (social services) such as cleaning the environment, visiting an orphanage, or helping disadvantaged people. This is a great way to help your community and show the civic pride. The Sanur Village Festival is a yearly event that is held in the coastal village of Sanur. The first festival was held in 2006. The festival has a different theme every year with its message "The New Spirit of Heritage". The Sanur Village Festival will host many programs that you can choose to take part. You also can enjoy the atmosphere of beauty and friendliness of the people of Sanur. Lovina Beach Festival is an annual festival which will take place on the black beaches near the villages of Kalibukbuk and Kaliasem. The villages itself is a quite and less visited area in the north part of Bali. Lovina Beach Festival will last for 3 days. Various activities will be held at this festival such as handicraft exhibitions, buffalo race competitions, 'mekorot' festival, music entertainment, spinning top and cultural performance. Balinale International Film Festival is an international film festival in Bali. More than 100 movies from 30 countries will take part in this event. The films aired on Balinale are short films, documentaries and independent story films that will open up the mind of anyone who watches them. In addition, the festival also offers the Indonesian culture and location for international directors as a place for their film. The Bali Vegan Festival is an annual three-day festival. The festival is open to everyone. This vegan marketplace will be a meeting place for participants to discuss ideas, challenge, and support one another. The festival tickets, which gives access to all other venues will be discounted for locals. With interactive workshops, live music, yoga, ecstatic dance and more, participants will have the chance to network, brainstorm, and design together a more empathic world, a path no one should walk alone. Over five full days, leading writers, thinkers, artists and performers from across Indonesia and all over the world will gather to celebrate knowledge and the arts, education, wisdom and science. The Ubud Writers & Readers Festival will include arts and music, panel discussions, workshops, literary lunches and dinners, book launches and more. Makepung Buffalo Races were traditionally held to mark the end of the rice harvest, and attract crowds of cheering locals. The betting can also get quite frantic! Only the best looking water buffaloes are chosen to compete. The teams will divide into two sides, the eastern division and the western division. Before the races, the bulls' horns are painted and brightly colored garlands are placed around their necks. Buffalo races are held every Sunday from July to November. Since this is the last race of the year, it's a unique event not to be missed. Last year, Pemuteran Bay Festival held on December 12-15, 2018 in Pemuteran Village, a small laid-back village in North Bali. The village has become increasingly popular with visitors in recent years. Last year’s festival titled “ Spirits of Rwa Bhineda” was a success since it brings a positive outcome for the tourism in the area. This year, the fest. Balinese people also excited to embrace the Christmas. As you know, Balinese people also respect other religions and celebrations. You will find Christmas decorations in everywhere when you are in Bali. What a good thing on Christmas is "A Huge Range of Special Offers" offered by hotels, restaurants or even shopping malls. So when you are in Bali you can enjoy your holiday with those great deals. New Year's Eve is one of the biggest celebrations in the entire world as well as in Bali. Balinese people are also excited waiting to embrace the New Year come. They will prepare all the things from music, families’ party, and fireworks.